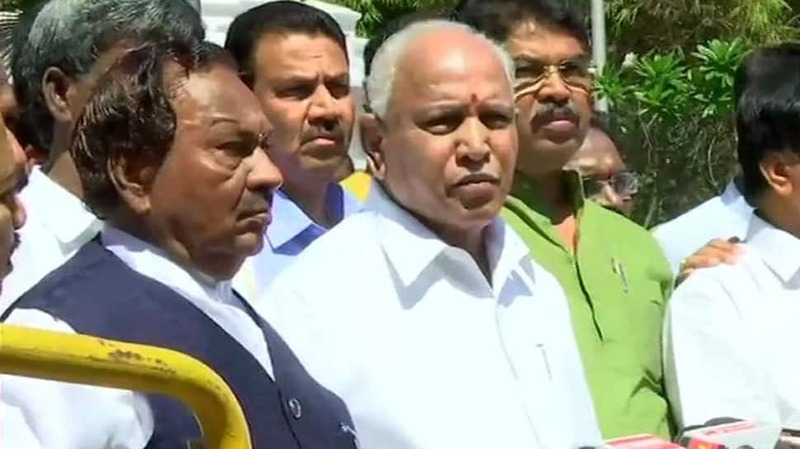 BJP leader BS Yeddyurappa, along with a BJP delegation, on Thursday submitted a memorandum to the Karnataka Governor Vajubhai Vala against the stone pelting on the residence of BJP legislator in Hassan. He also added that they will send a memorandum to Union Home Minister Rajnath Singh. “We have submitted a memorandum to the Governor over the incident of stone-pelting at the residence of Preetham Gowda (BJP MLA from Hassan) and manhandling of his family. We will also send a memorandum to Home Minister Rajnath Singh,” said Yeddyurappa. Yeddyurappa led a BJP delegation to meet the governor on the incident that took place on Wednesday evening. “I have asked the police to probe the matter and take strict action,” he had asserted.